1 Chairholder, Chaire Jean Monnet en Droit de l’Union européenne, Université de Montréal and Visiting professor, College of Europe, Natolin (Warsaw). The author reflects on the impact CETA may have on the reputation of the governments that negotiated it and the trust of their citizens in them. The idea is that citizens’ trust may weaken if they have the impression that this agreement is mainly to the benefit of big business and the interests of ordinary people are not adequately protected. In light of the shortcomings of the agreed text and other issues reported by scholarly comment, it is suggested that the impact on citizen’s confidence could well be a negative one, because many citizens have good reasons to be worried about certain aspects of the agreement. If this is the case and if no lessons are drawn from this for the next transatlantic Treaty, TTIP, the public may well be dissatisfied with that trade deal as well. Transparency, or rather the lack of it, is part of the problem. It is an aggravating aspect that comes on top of all the other real or perceived issues the agreements raise from the perspective of a citizen. Thus, it is argued, CETA and TTIP pose real challenges for leaders on both sides of the Atlantic. Nanette Neuwahl, « Trade, Trust and Interest Protection after the Comprehensive Economic and Trade Agreement (CETA) - a Citizen’s Perspective », (2015) 20:2 Lex Electronica 117. 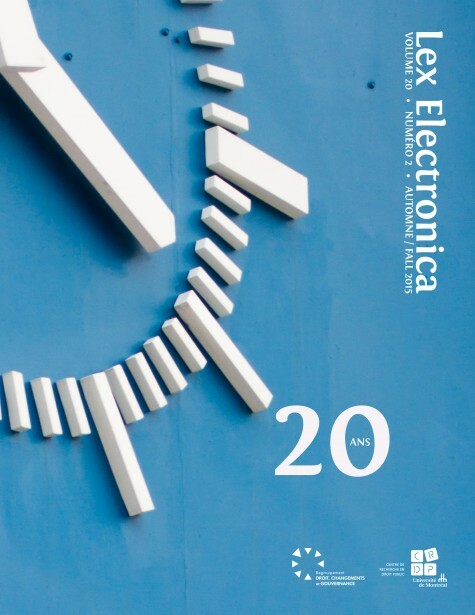 En ligne : https://www.lex-electronica.org/s/1419.